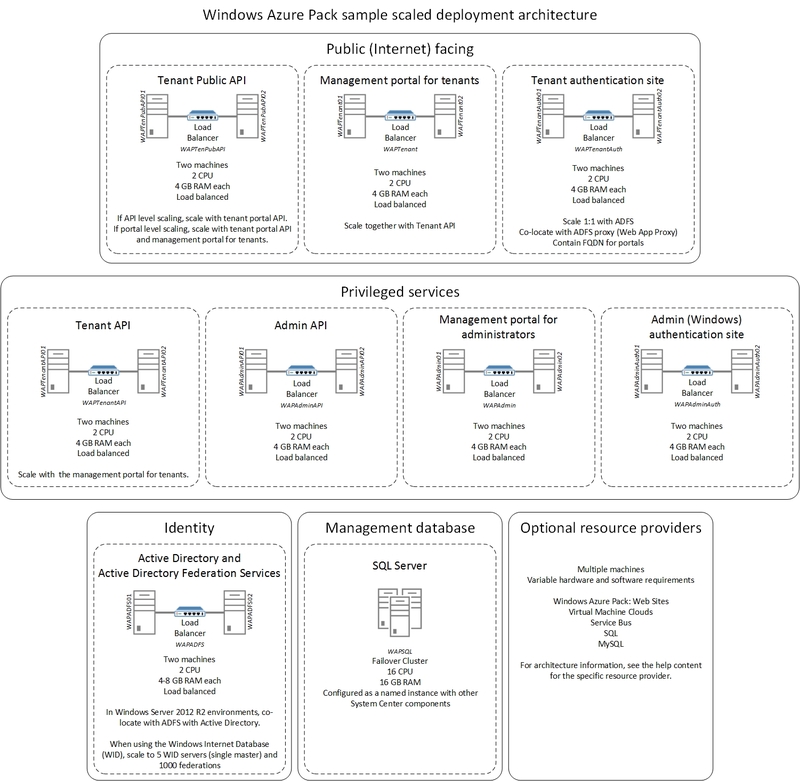 This architectural overview suggests machine topologies for required and optional components in both express and distributed deployments. 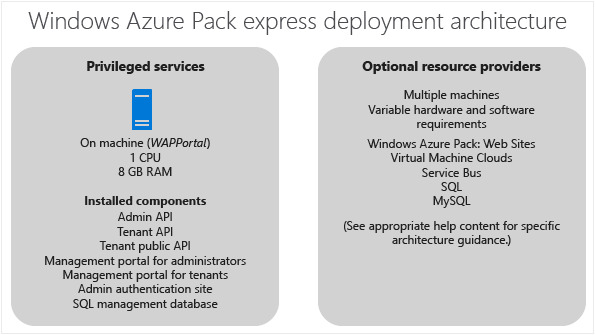 In an express deployment, all of the Windows Azure Pack required components are installed on the same machine. You should then install at least one optional component on additional machines. 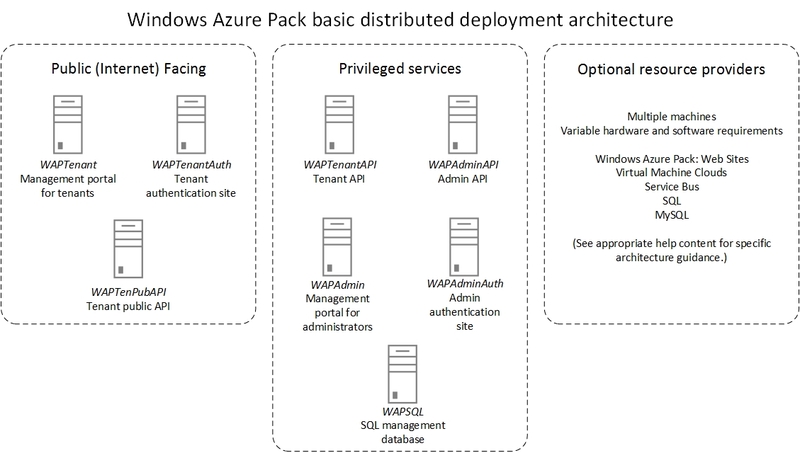 In a distributed deployment, you can install the required components on up to 8 machines. You should then install at least one optional component on additional machines. The following diagram shows a basic distributed architecture of required components for a system designed to provide services to external customers. The following diagram shows depicts the suggested minimal architecture for a distributed deployment. You should then install at least one optional component on additional machines. The following diagram shows a distributed deployment using load balancers and failover clusters with scaling information. You should then install at least one optional component on additional machines. For sample topologies of the optional components, see the following help content. 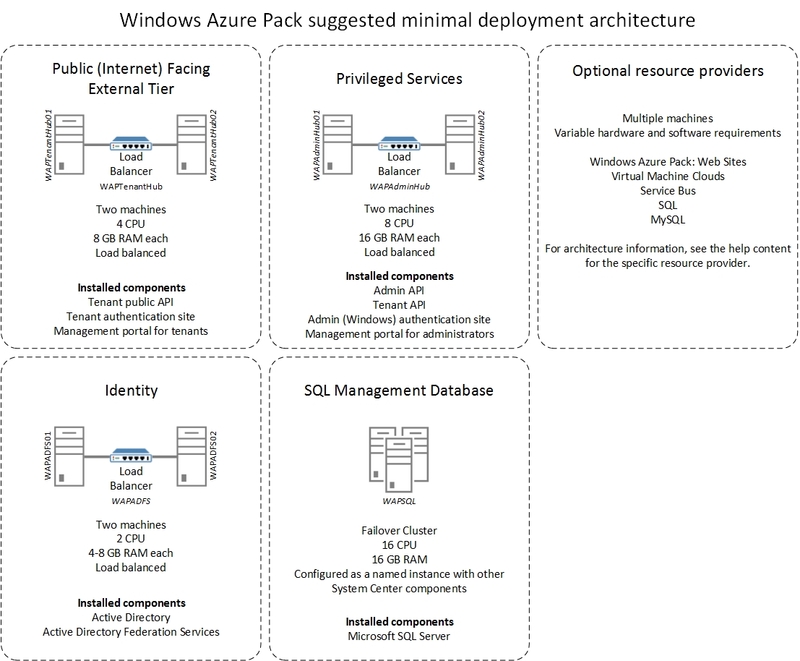 The names provided for the various machines are examples listed in Windows Azure Pack machine naming conventions.